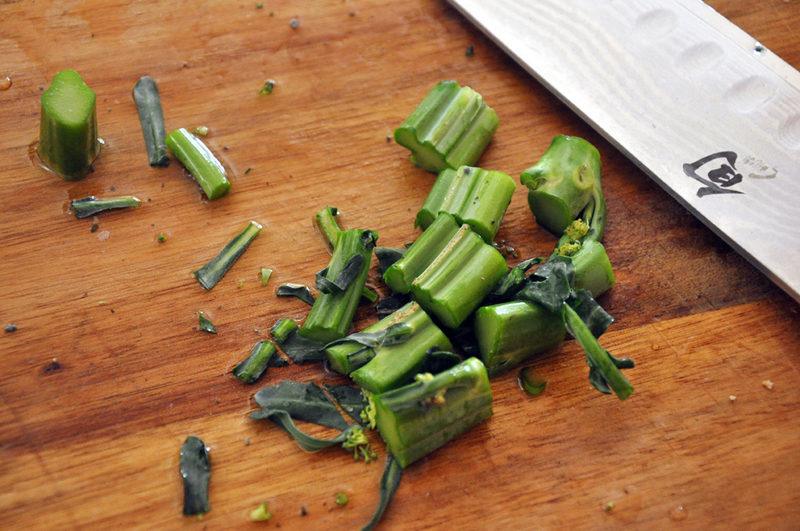 Meanwhile, cut the stems off the broccoli and then into 1" pieces. 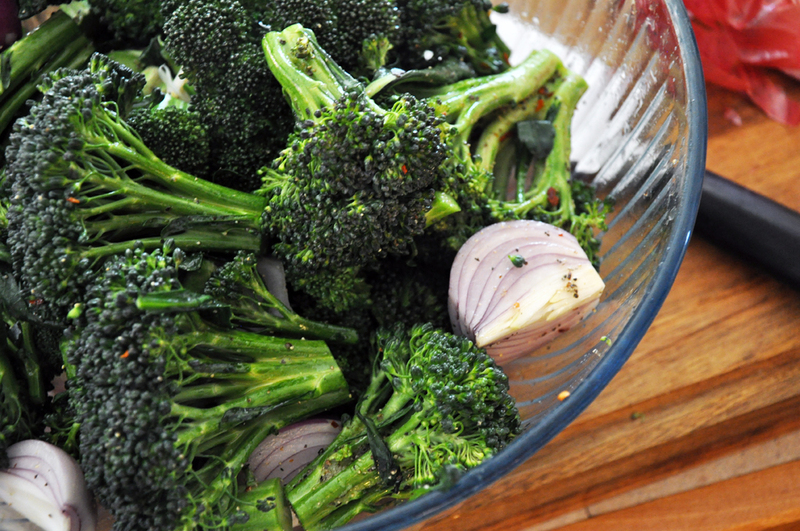 Place in a large bowl with trimmed broccoli crowns, onion, 1 1/2 Tbsp EVOO, pepper, sugar, and red pepper flakes. Toss well and spread into one layer on a baking sheet. Cut the top off the garlic head, and place in a synched foil packet. 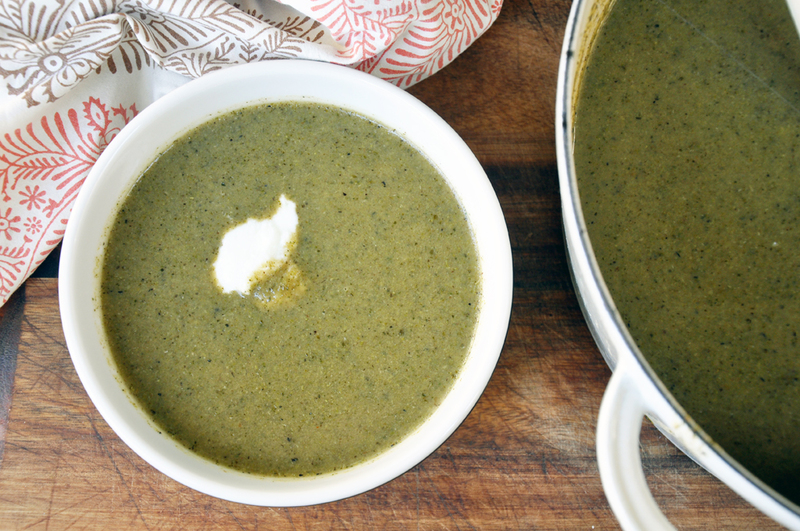 Drizzle the remaining 1/2 Tbsp EVOO over top and close tightly. Place on the baking sheet with the broccoli and onion mixture. Roast 15 minutes, and then remove from the oven. 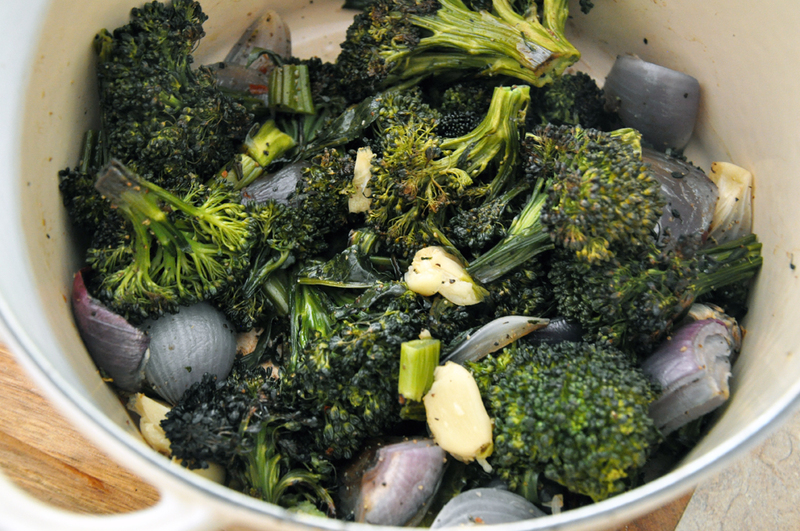 In a large pot, heat the broccoli-onion mixture over medium heat. Open the garlic and squeeze out the cloves. Add the broth and bring to a boil. Then turn off the heat and let cool slightly. Puree with a hand blender or in a food processor. Serve plain or with yogurt or sour cream. I am SO going to make this using some garden broccoli I froze a while back that wasn’t really appetizing as a thawed, heated vegetable. I’ve been looking for an idea to use it with, and this looks like the one. Thank you! When did EVOO become a thing? I had to google it to find out that it’s olive oil. I read tons of recipes, most of which are vegetarian, and I never saw EVOO as an ingredient before.